3 of the BIG jobs in the garden, pruning, chipping, composting and I am trying to do them as a batch, mentally make it a few smaller jobs, divide it into areas to make it seem less of a BIG job. I have started with my kitchen garden and pruned a couple of other perennials to collect this batch of green waste to go through my mulcher. 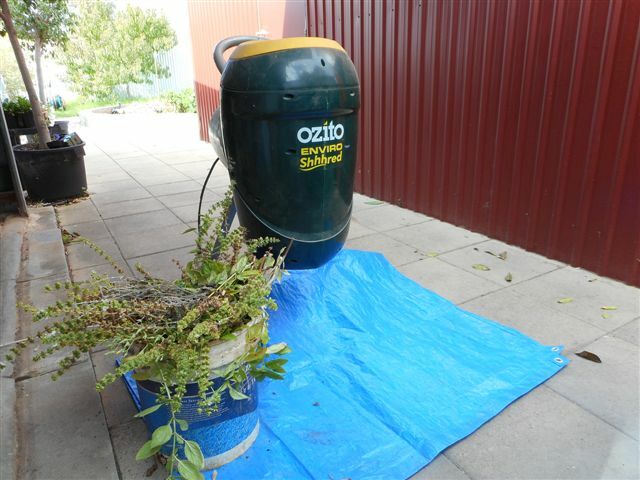 This is the first mulcher I have owned, it’s 2nd hand from gumtree, an Ozito electric mulcher. It’s not really very good, as you can see in the photo it churns and crushes the branches rather than chip the material. My father-in-law teases me about his massive mulcher that he has to move around with his quad bike! While I dream about my dream mulcher the Greenfield Piece-maker, don’t all gardeners dream about a tool/machine that will make life so much easier? Add the carbon and nitrogen in layers with your green wasted, keep it moist and turn it to keep it oxygenated. 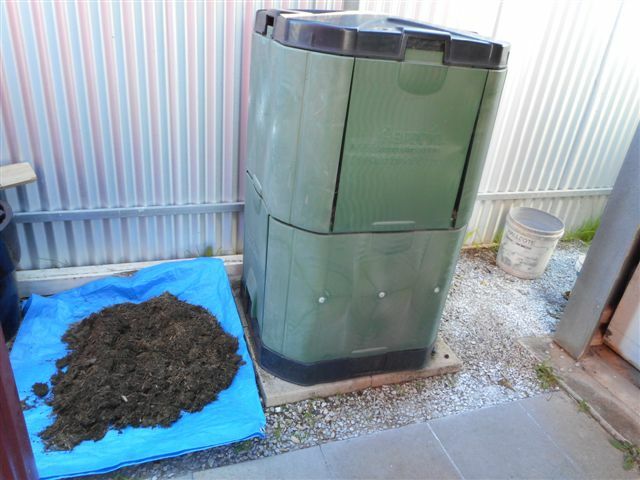 I have a closed compost system an Aerobin which I have been very happy with, together we have produced tons of good compost. Do you mulch and compost your garden waste?